For 28 years, Stephen Caplan has successfully fought for the rights of individuals throughout Central Florida with a dedicated Law practice. This experience empowers our team to expertly guide you through each and every step of your journey. The strength that comes from our experience is known both inside and outside the legal community. We’re proud of the reputation we’ve built, and we’re ready to fight for you. Every day, hardworking Floridians do their best to make ends meet. When financial hardship strikes — whether due to a job loss, demotion, illness, divorce, or other life circumstance, it can be a devastating blow to a person’s overall welfare. Dealing with the crushing burden of overwhelming debt can be suffocating and nerve-wracking. With mounting bills and non-stop calls from creditors, it can feel as if everything is spinning out of control. You may be facing the threat of foreclosure, wage garnishment, car repossession, or utility disconnection. Living in constant fear that the worst is yet to come is no way to live. If you have reached the point where your debt has become unmanageable, you may be interested in learning about your options for debt relief. At Caplan Get Your Copy Bankruptcy and Family Law Firm, we can help you find an immediate solution for eliminating or minimizing your debt. The firm’s founder and Chief Bankruptcy Lawyer, Mr. Stephen Caplan has dedicated 30 years to helping residents of Orlando and Orange County, FL get back on solid financial footing. Mr. Caplan and his team of bankruptcy attorneys offer compassionate and non-judgemental legal representation for people struggling to stay afloat financially. There is no reason to feel ashamed or embarrassed for considering bankruptcy. Reaching out for help is the first responsible step towards reclaiming financial health and stability. We do not use a one-size-fits-all approach. We are methodical in how we analyze your finances and tailor a solution to fit your specific needs. Begin the process of rebuilding your financial future today! To schedule an initial consultation with a bankruptcy attorney, call (407) 872-6249. 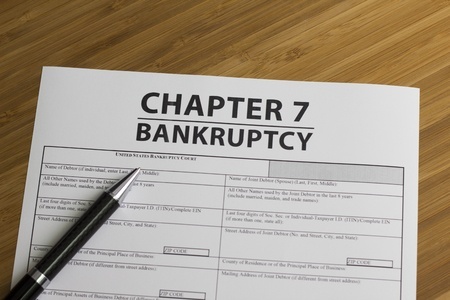 A Chapter 7 bankruptcy is often referred to as a “straight bankruptcy” or “liquidation bankruptcy.”This is the most common type of bankruptcy for those who have a large amount of debt and few assets. A Chapter 7 bankruptcy is designed to give you a fresh financial start by wiping out or discharging all of your unsecured debts such as medical bills, credit cards, payday loans, personal loans, lawsuit judgments, deficiencies on repossessions, etc. In exchange for relieving you of all personal liability, you will need to turn over non-exempt property to a court appointed trustee. The trustee will then sell or liquidate these assets and distribute the proceeds among your creditors. You are allowed to keep your secured debt including your home and car as long as you reaffirm the debt and agree to continue making the payments. In most situations, you will be able to retain ownership of a majority of your assets due to Florida’s generous exemption laws. For example, Florida offers a motor vehicle exemption of up to $2,000. This means, if your car is worth less than $2,000, it would be exempt. If for instance, it’s worth $15,000 and you owe $10,000, the trustee would most likely sell the car and pay off the loan and use the remaining funds to satisfy other debts. Pension Exemption: Qualified pensions and retirement plans IRA and 401(k) fully or largely exempt from creditors. If you do not plan on keeping any real estate, your personal property exemption increases to $4,000. To take advantage of Florida’s property exemptions, you must have been a permanent resident of Florida two years prior to filing for bankruptcy. If you were living in another state two years ago then you would have to abide by that state’s exemption laws. Debts that cannot be discharged in a Chapter 7 bankruptcy include student loans, taxes owed to IRS, criminal fines and restitution, child support, and spousal support or alimony. In order to pursue a Chapter 7 bankruptcy, you must pass a means test. This is a complex formula used to determine whether you’re truly incapable of repaying your debts and in need of bankruptcy relief. The first part of the test compares your household income to the median household income in Florida. If your current monthly household income is less than the Florida median income for a household of your size, you would pass the means test and would be eligible to file a Chapter 7 bankruptcy. If your monthly household income is higher than the median income, it doesn’t necessarily mean you are ineligible. Rather, the means test would apply a more complicated formula to determine your eligibility based on your disposable income. This is done by deducting certain expenses from your current monthly income such as standard living expenses, housing expenses, transportation expenses, child care, school tuition, etc. It’s possible that your deductions could bring you below the median. If you are struggling to pay your bills, Chapter 13 offers a way to catch up or “cure” past due payments while simultaneously eliminating a portion or all of your debt. Under a Chapter 13 bankruptcy, you would propose a plan to repay your creditors over a three to five year period. So, instead of dealing with multiple creditors and bills, you can consolidate your debt into one bi-weekly or monthly affordable payment. Also, known as the “wage earner’s plan” Chapter 13 requires that you have a steady income and some disposable income to satisfy your repayment obligation. 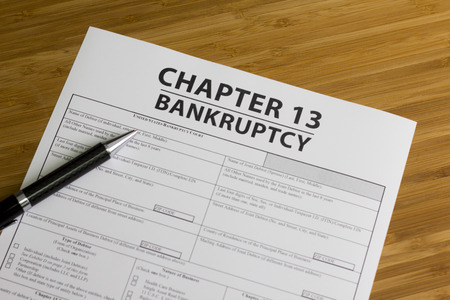 One of the primary reasons people choose Chapter 13 is to protect secured assets like a home or car, that have more equity than they can protect with their Florida bankruptcy exemptions. To file bankruptcy in Florida, you must file in the district and division where you reside. Florida has three bankruptcy districts — Southern District, Middle District, and Northern District. If you live in Orange, Brevard, Lake, Osceola, Seminole, or Volusia County, you would file in the Orlando Division of the Middle District of Florida. The United States Bankruptcy Court for the Middle District of Florida is the third-busiest bankruptcy court out of the 90 federal districts in the nation. Before a Chapter 7 or Chapter 13 bankruptcy is filed you’ll need to complete a credit counseling course with an agency approved by the Middle District of Florida. This course is available in person, by phone, or online. 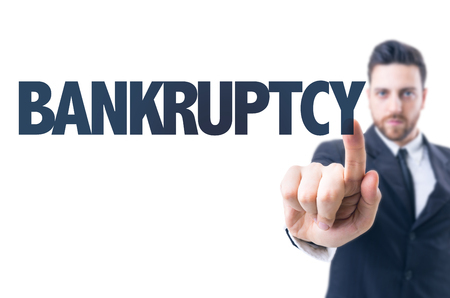 Once the course is completed, you will receive a certificate that must be filed with your bankruptcy petition. Similarly, after your petition is filed, you must complete a debtor education course designed to teach you how to responsibly budget your income and manage your finances after bankruptcy. can assist you in finding pre-approved courses. Once your Chapter 7 petition is filed, the court then enters an automatic stay which immediately prevents creditors from pursuing further collection actions or lawsuits against you. About 45 days after filing Chapter 7, you will need to attend the 341 “Meeting of Creditors” which is a hearing in which your creditors are afforded the opportunity to ask you questions about your bankruptcy filing. More often than not, creditors don’t show up to this hearing. The trustee who is assigned to your case will be there and will review your petition to make sure its been accurately completed. In most cases, the 341 hearing is simply a formality to approve the final discharge of your debt. 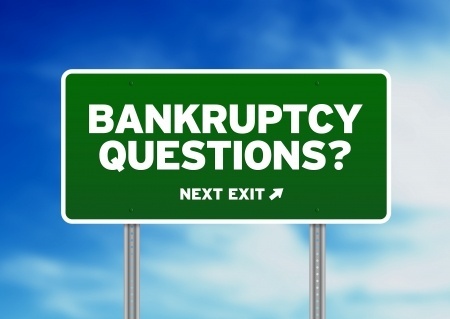 The entire process of a chapter 7 bankruptcy from start to finish only lasts 4-6 months. Chapter 7 bankruptcy will stay on your credit report for 10 years, however, during that time you can improve your credit score because the bad credit is no longer on your credit report. After a short time, you will still be able to get a credit card and get auto financing if needed. We have clients that have built their credit back up in as little as 2 years, there is no reason why you could not do the same.